iPlayer catch-up window to be extended to 30 days | What Hi-Fi? The BBC Executive has approved the extension of the iPlayer catch-up window from seven days to 30 days, and will now "set about making this happen"
It looks like we will all have longer to catch up on our favourite BBC programmes soon, with the corporation set to extend the iPlayer catch-up window from seven days to 30. The extension was recommended by the BBC Trust and a statement today from the BBC Executive has approved the move. The BBC Executive statement read: "People keep telling us they want programmes to be available on BBC iPlayer for longer – so extending availability from seven to 30 days will make iPlayer even better. "New iPlayer already has downloads, better recommendations, HD, live restart, favourites and collections, and extending the catch-up window to 30 days gives people even longer to enjoy their favourite BBC programmes. We will now set about making this happen with the aim to roll this out from the summer." 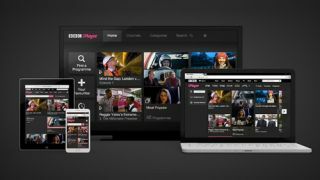 Last month the corporation revealed a brand new version of iPlayer for 2014, which delivered a consistent design across all platforms and used a responsive design to make it more flexible across different screen sizes. With the BBC planning to put more content on iPlayer first, and the move of BBC Three from TV to online, it makes sense to extend the window of opportunity for watching programmes.